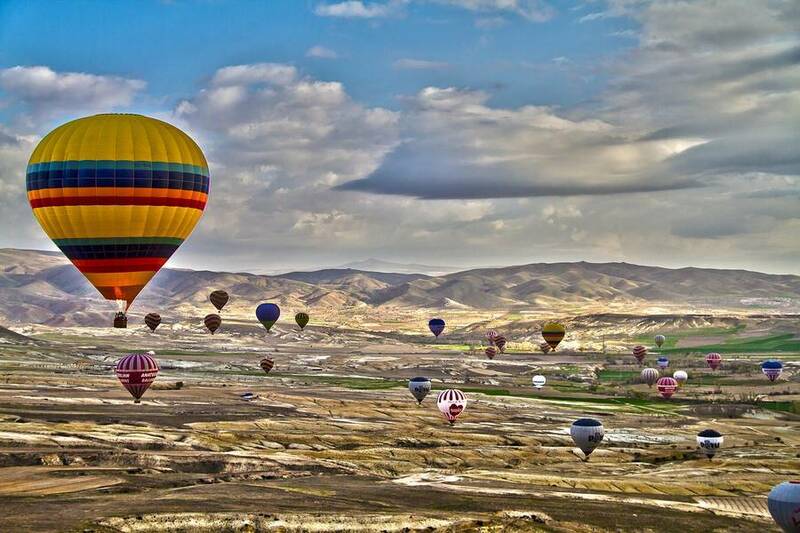 Discover Cappadocia from the air on this early morning 1,5 hours hot air balloon ride with our Deluxe Cappadocia Balloon Ride. Drive to our Goreme Office from your hotel in an air-conditioned coach. Enjoy a cup of coffee, tea and snacks. Time to watch preparing balloons at the take-off area for 15-20 minutes. Flight begins, fly up and away over the lunar-like chimneys, spires, pinnacles and valleys, all looks extra magical under the soft morning sunshine. Spot cave houses and villages, and capture the unique panoramas on camera as your pilot points out places of interest. Finally, float gently back to earth with unforgettable memories of Cappadocia Balloon Ride, celebrate with champagne and collect a special certificate of your flight.